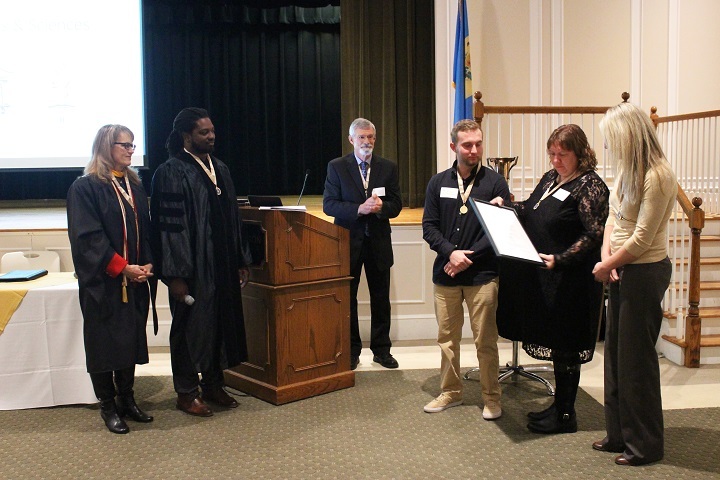 Under the direction of Dr. James Hall, the Gamma Upsilon Chapter of Sigma Zeta was installed on November 9, 2018, at Wilmington University, New Castle, DE. 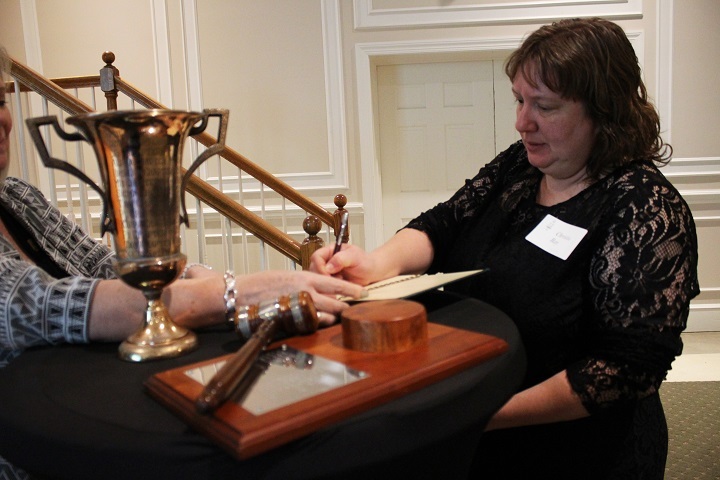 The event was opened at 5:15pm with Dr. Hall calling the chartering ceremony to order. 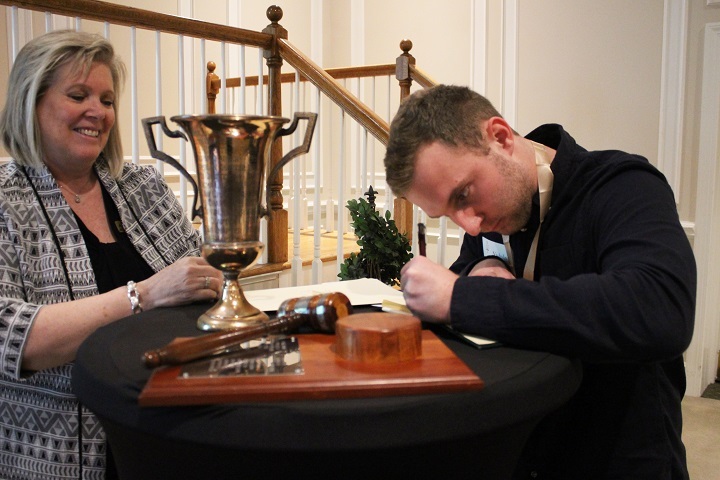 He spoke briefly about the history of the gavel and the founder’s cup. He also explained some of the symbolism of the organization as found on the Sigma Zeta banner. Dr. Milton X. Muldrow Ph.D.
Mrs. Diane M. Bansbach, M.A. After dinner, Dr. Doreen Turnbo, Dean of the College of Arts & Sciences, welcomed everyone to the evening’s inductions. Mr. Mitch Poe, adjunct instructor for Wilmington University, gave a motivational talk about “Getting Good at the Soft Stuff.” Dr. Janice Colvin, inducted new members into the Alpha Sigma Zeta and Lambda Pi Eta honor societies. Dr. Hall and Dr. Muldrow then welcomed the collegiate charter members of the Sigma Zeta organization to membership with a certificate and a pin. The evening was concluded at 8:00pm.